Infographics are hot right now. Folks are sharing them on Twitter, pinning them on Pinterest and even creating infographic versions of their annual reports. But should non-profits jump on the infographics bandwagon? Why should you consider creating infographics? 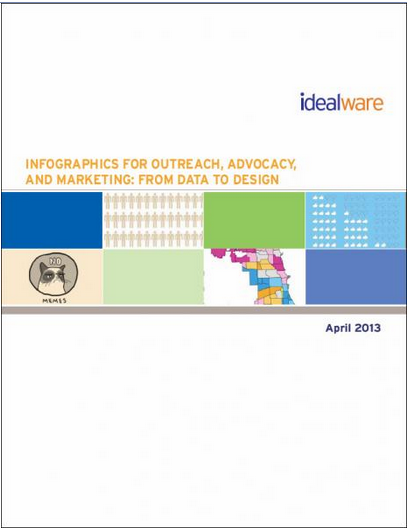 This new report - Infographics for Outreach, Advocacy and Marketing: From Data to Design - “is a guide to help you think through the process of understanding and creating infographics” and it covers topics such as: Visualizing Data; When Does An Infographic Make Sense? ; Elements Of Infographic Design; Measuring The Impact Of Infographics; Creating Infographics and more.